Dr Louis De Wet is Managing Director of Waterlab (Pty) Ltd and a Research Fellow at the University of Johannesburg. He is a co recipient of the Douw Greef Prize from the South African Academy for Science and Art, and co recipient of the ATKV prize for the best article in Afrikaans in the South African Journal of Science and Technology. His interest is the progress of technology in analytical laboratories, enabling more efficient automated analyses, as well as the state of water quality in South African dams and rivers. Zak Liyaqat-Ali is Senior Manager of Avionic Workshops, Non-Destructive Inspection, NDT Lab, Avionic Metrology lab, Dimension Metrology Lab and Workshops Tool-stores, and has 22 years in the aviation sector. He is currently completing his MSc in Strategy and Business Leadership at Cranfield University in the UK and holds several Boeing, Airbus and Aviation certificates. His commitment is to sharing his Aviation experience as a Coach/Mentor. Dr Wynand Louw is Director of Research, International and Infrastructure Development at NMISA (National Metrology Institute of South Africa), where he was involved in establishing the Intra-Africa Metrology System and was the inaugural chair. He represented NMISA at the Consultative Committee for Amount of Substance of the International Committee for Weights and Measures (CIPM), and was a founder member of the Surface Analysis Working Group. He is a member of the Joint Committee for Regional Metrology Organisations and the BIPM (Bureau International des Poids et Mesures) and was Chair of the Cooperation on International Traceability in Analytical Chemistry. Elected to the CIPM, he is President of the Consultative Committee for Ionising Radiation and has a guest seat on the Consultative Committee for Units. He is focused on Accurate Measurement in all sectors. Dr Dharmarai Naicker is Competency Area Manager for the Council for Scientific and Industrial Research (CSIR). Her extensive research experience includes Extraordinary Lecturer at the University of Pretoria in Veterinary Science, Project Manager at the Agricultural Research Council of South Africa’s Food, Feed and Veterinary Public Health Programme and a postdoctoral fellow at the University of Cape Town in the Biochemistry, Genetics and Microbiology’s Gonadotropin Releasing Hormone Group. Dr Naicker is committed to “Re-engineering the food safety testing environment to go green and lean”. Steve Sidney manages the NLA-SA as its Director and is an active member of a number of South African and international organisations, representing laboratory stakeholders. These include Laboratory Committee (Chair) and Accreditation Issues Committee (ILAC); BIPM – JCGM WG1; and ISO – WG44 Review of ISO17025 as Co-convenor. He is also a Board member of SANAS and Chairperson of the Board of the first multi-economy accreditation body, SADCAS, which is based in Botswana and serves the vast majority of Southern Africa. With a National Diploma in Electrical Engineering Light Current, Steve’s career in Test & Measurement includes working for Fluke South Africa and starting his own business, which was ultimately sold to JSE Listed electronics/telecom’s corporation, Altech. He was subsequently appointed Managing Director of Altech Instruments, a position he held until 1997, following which he began a management-consulting practice. Guy Snelling is owner of Intercal, a facilitator on NLA-SA courses and a SANAS (South African Accreditation System) Technical Assessor, serving on several SANAS Specialist Technical Committees. 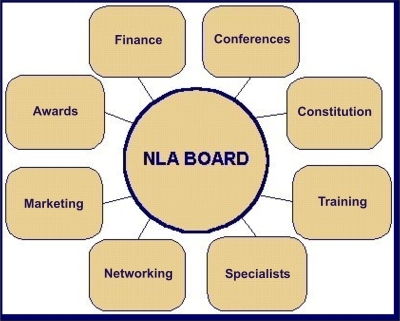 With an NCS Certificate of Competence followed by more than 30 years experience, he has presented several award winning papers at the NLA-SA T&M conferences. His focus is on promoting SANAS accredited calibration services in Southern Africa and training of a new generation of qualified metrologists.